It’s no secret that I have been on a rosé kick lately. Not only is it refreshing in the summertime, but it is also a delicious wine. 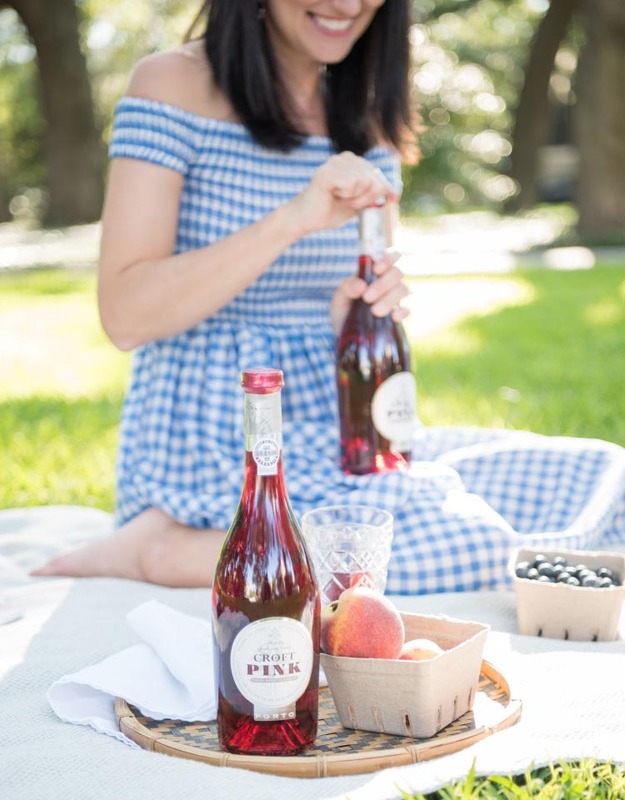 My newest find has taken my love of rosé to a whole new level — a rosé style Port! Port is a fortified, sweet red wine that is typically paired with dessert. 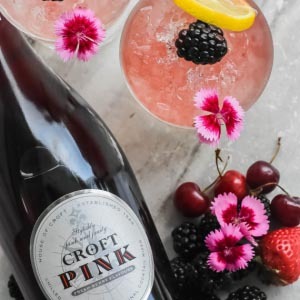 Croft Port Wines created a new rosé style Port, that is light and designed to enjoy during summer, so I couldn’t wait to try it! Croft Pink Port is much lighter and crisper than traditional Port wines. The Port has a vibrant and fruity flavor — you can taste hints of raspberry and cherry in each sip. This Port is best served chilled, try it on ice with a lemon garnish! 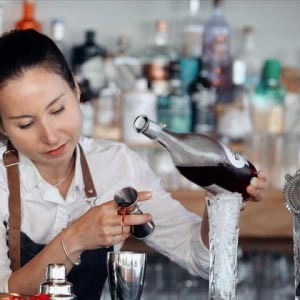 If you’re looking for another way to serve this Port, it can be mixed into the perfect summer cocktail! I created my own cocktail that would highlight the rosé, using a few ingredients that you can easily gather when you’re looking to enjoy cocktails on the porch or during an evening picnic. Since it’s peach season in Georgia, I crafted a cocktail that included this juicy fruit with the Croft Pink Port. This is truly one of my favorite summer cocktails!